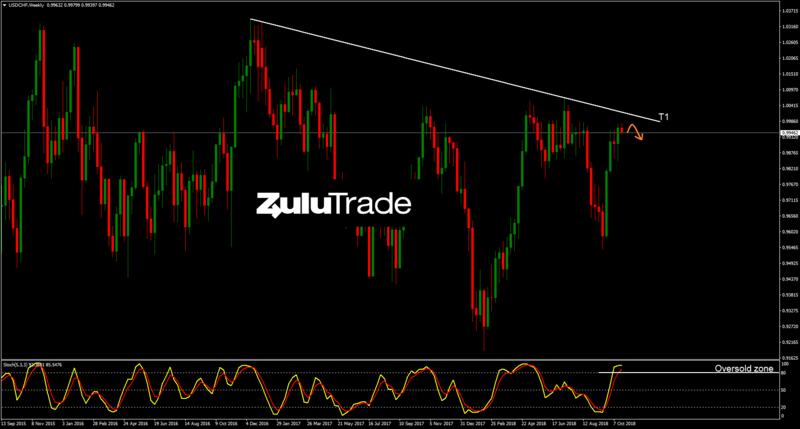 USDCHF has been rallying towards the trendline (T1) for few weeks but there is currently a weakness in the bullish momentum. 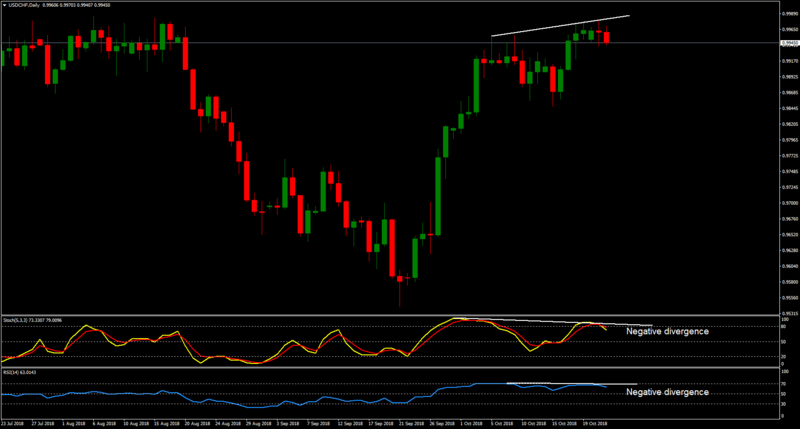 The trendline (T1) acts as a major resistance, at the same time, Stochastics is moving within the overbought zone. Moreover, heading to the daily timeframe, both RSI and Stochastics have already formed negative divergences, indicating a potential reversal. On the other side, if price breaks out the trendline (T1) to the upside, then the scenario will be busted. Today’s agenda includes FOMC Member Bostic Speech, so Traders should be cautious during the session, because it is expected volatility.